The following the article was written by Michael Fitzgerald and was published in his June 12 Finger Lakes Times column “Write On”, (which appears Fridays). On Friday, Mr. Fitzgerald’s 2014 novel, “The Fracking War” was awarded best General Fiction at the Green Book Festival (Part of the New York Book Festival). This article is reprinted with permission of the author and the Finer Lakes Times. Please note I have included Rep. Reed’s comments about the EPA’s decision of the impact of Hydrofracking, since Mr. Fitzgerald referred to it. It was not in his FL Times column. 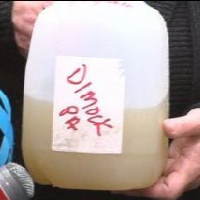 Rep. Tom Reed (NY-23), June 4, 2015: Today, I am again calling for the repeal of Governor Cuomo’s politically-motivated ban on hydraulic fracturing, in response to the EPA’s finding that this method of natural gas extraction does not pose a threat to public drinking water. In the study released earlier today, comprised of over 950 sources of information including published research papers, technical reports, input from stakeholders, and peer-reviewed EPA scientific reports, the EPA deemed hydraulic fracturing safe to our local water supply. In light of the indisputable conclusion reached by the EPA, I am calling on Governor Cuomo to reverse his unilateral decision to ban fracking in New York State. If this science is good enough for the Obama Administration’s EPA, then it should be good enough for Governor Cuomo. The federal Environmental Protection Agency’s draft report issued last week about the potential impacts of hydrofracking on the nation’s drinking water triggered an avalanche of expansive — and false — claims by hydrofracking proponents that the extractive technology had been declared safe. Locally, Congressman Tom Reed popped up like a political Jack-in-the-box and — quite predictably — called on New York Gov. Andrew Cuomo to lift the state’s ban on hydrofracking. The avalanche of claims that hydrofracking had been vindicated was triggered by many erroneous media reports that spun stories based on the first paragraph of a two-page EPA press release announcing completion of the nearly 1,000-page draft study. Those media outlets didn’t bother to read the entire press release. Or even past the second comma. If they had, the stories should have been considerably more measured. The EPA report is not an endorsement of hydrofracking or claims it doesn’t cause drinking water problems. In fact, it is actually quite damning, not so much of the actual drilling process per se but of everything surrounding it. It’s similar to the question of whether hydrofracking causes earthquakes. Studies show drilling isn’t triggering temblors. But disposing of the millions of gallons of wastewater into deep injection wells is. Most media stopped reading at “water resources.” Otherwise how could they not mention those vulnerabilities: wastewater discharged into drinking water, cement well-casing failures, hydrofracking directly into drinking water resources and the ongoing massive freshwater withdrawals in locations suffering severe drought. Those issues aren’t part of the drilling but are wreaking environmental havoc. Cement well-casing failures — which can let water laced with toxic chemicals into the water table or release methane gas — may not be systemic. But even industry studies show an alarming rate of failure. And wastewater getting into drinking water deserves particular scrutiny. Since hydrofracking started booming — largely because of oil and gas industry exemptions since 2005 from the federal Safe Drinking Water Act of 1974 and the Clean Water Act of 1972 — drilling has produced about 300 billion gallons of wastewater laced with toxic chemicals. This water is lost to the water cycle because the chemicals cannot be removed to make the water potable or fit to use for irrigation. And there have been enough wastewater spills, and even deliberate illegal dumping, to raise plenty of alarm. Has it been “systemic”? No. Has it been disastrous? Yes. The lengthy EPA report is going to take time to analyze. And during that analyzing opponents are going to have to put up with pro-hydrofracking forces trumpeting their misinterpretation of the EPA’s summary paragraphs as gospel. But we can hope the draft report eventually prompts an enraged public to ask exactly why the oil and gas industry has exemptions to the federal Safe Drinking Water Act of 1974 and the Clean Water Act of 1972. It’s as if all U.S. restaurants banded together and wailed they couldn’t serve food unless they were excused from following health regulations — and then received a blanket, federal get-out-of-jail-free card, telling them they were exempt from health laws. The EPA did offer one semi-bright nugget. While mentioning the oil and gas industry’s exemptions to federal clean water laws, the EPA pointed out that most states already have authority to regulate oil and gas extraction, should they choose to do so. Now if states just would step up. The EPA says they have the power. This entry was posted in Constituents, Environmental, EPA, Ethics, fracking, Hydrofracking/Gas& Oil Industry and tagged Cuomo's Fracking Ban, EPA, EPA Fracking Report, Fracking. Bookmark the permalink. The fact people and media read the first paragraph and quickly reported on it is like FOX and CNN reported that Obamacare was struck down by the Supreme Court a few years ago by glancing at the opening paragraph of the decision. Having Congress Reed make his statement which included, “In light of the indisputable conclusion reached by the EPA” shows that he has a low opinion of the intelligence of his constituents (at least the ones who reads his Facebook page). The report (http://reed.house.gov/reed-calls-fracking-reversal-after-epa-report) of his website doesn’t have that quote in it. Rep. Reed is good at telling only one side of the story. I’ve said it before and I’ll say it again–he tells us what he wants us to think. He’ll do it again at is Town Halls Meetings this Saturday in Ithaca, Geneva, and Jerusalem (Yates County). Rich, can you make the one in Jerusalem? I hope someone there will bring this whole piece up. Not that Reed ever lets facts get in the way of a good screed, but…. Yes. I plan to be in Jerusalem. I am also planning to be at the Geneva one. The Geneva meeting is being promoted by the Gas Free Seneca group and I hope it is well attended.